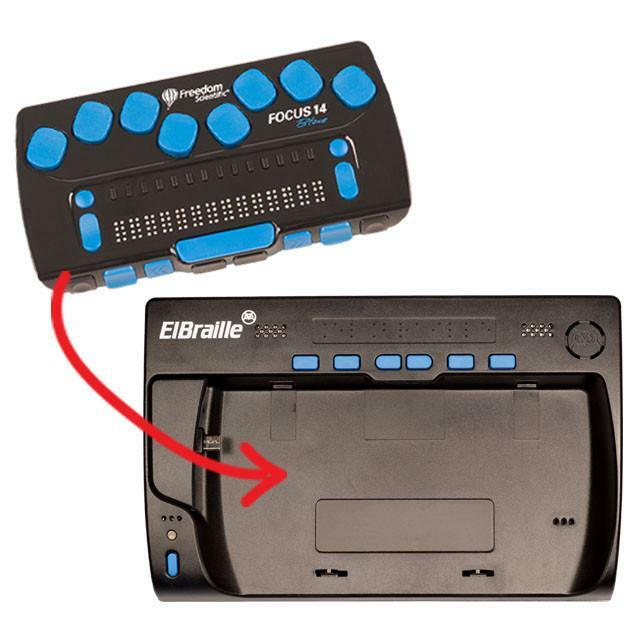 The ElBraille is a portable device designed for users who are blind or deaf-blind and want to stay connected at school, work, or home as well as on the go. The twenty-first century, take anywhere replacement for the dedicated notetaker, ElBraille combines the flexibility of a modern mainstream computer running the Windows® 10 operating system with JAWS® and a 14- or 40-cell Braille display with a full Braille keyboard to offer a fully accessible compact solution. (JAWS and Braille display sold separately.) JAWS provides the best screen reader experience with either Eloquence speech output or the highly responsive and life-like Vocalizer Expressive Compact voices as well as full Braille output. Type text into documents or perform JAWS and Windows® commands right from the Braille display’s keyboard using the JAWS BrailleIn® feature. Run any Windows application such as Microsoft Word®, Excel®, PowerPoint®, or Outlook®. Use FSReader to read DAISY books from sources such as Bookshare.org or browse the internet with Microsoft Internet Explorer® or Mozilla® Firefox. ElBraille also includes a set of specially designed apps for performing popular actions such as the creation of voice or text notes, listening to audio content, and more. The ElNotes application developed by Elita Group is designed to create, store, and manage text and voice notes on the ElBraille Notetaker. ElNotes allows a user to quickly create text and voice notes using a set of special keystrokes and then export them to TXT or MP3 files respectively, if needed. These files are saved to a user-specified folder and then are available to be read and listened to using other ElBraille applications. Save by upgrading your current investment – Compatible with your existing Focus 14 Blue or Focus 40 Blue 4th generation Braille display and your existing JAWS license. Note: The Focus 14 Blue Braille Display docks in the ElBraille and is easily removed. The Focus 40 Blue Braille Display is permanently attached to the ElBraille. 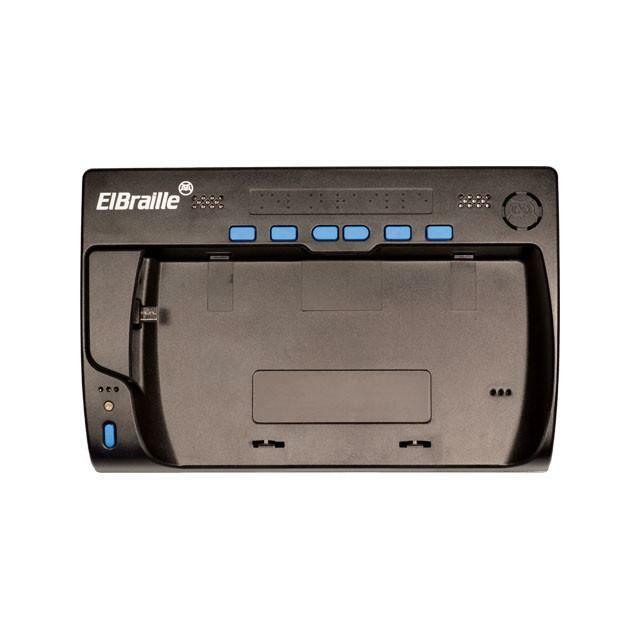 If you wish to upgrade your existing Focus 40 Blue to ElBraille, call our Sales Department at 1-800-444-4443 to place your order and make arrangements to send your Braille Display in for the upgrade.